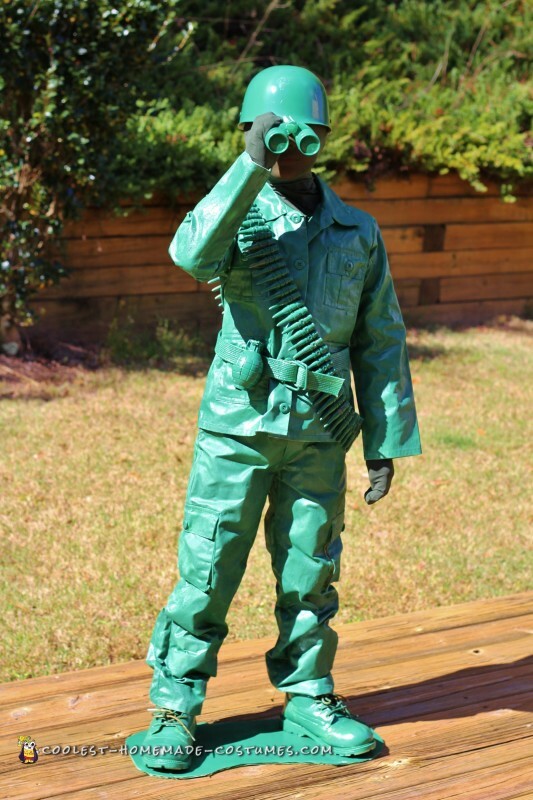 My son chose a toy army man costume to go along with my toy/game theme. 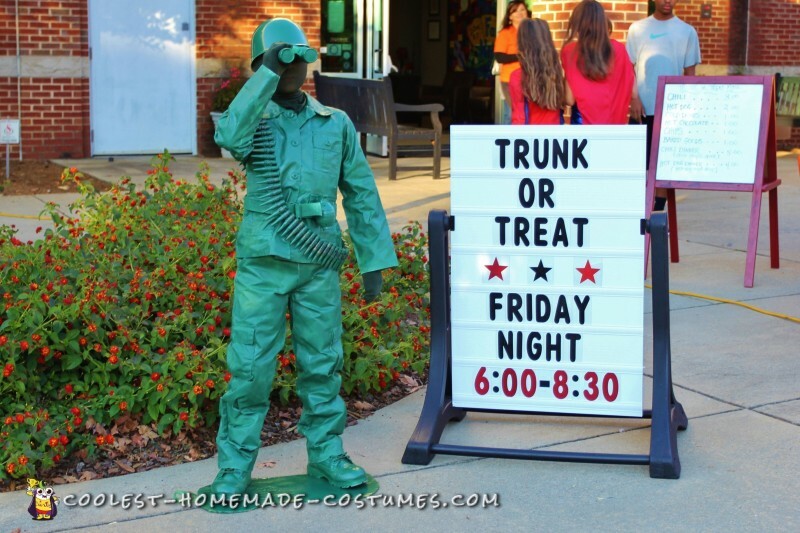 We love our school’s Trunk-or-Treat event. 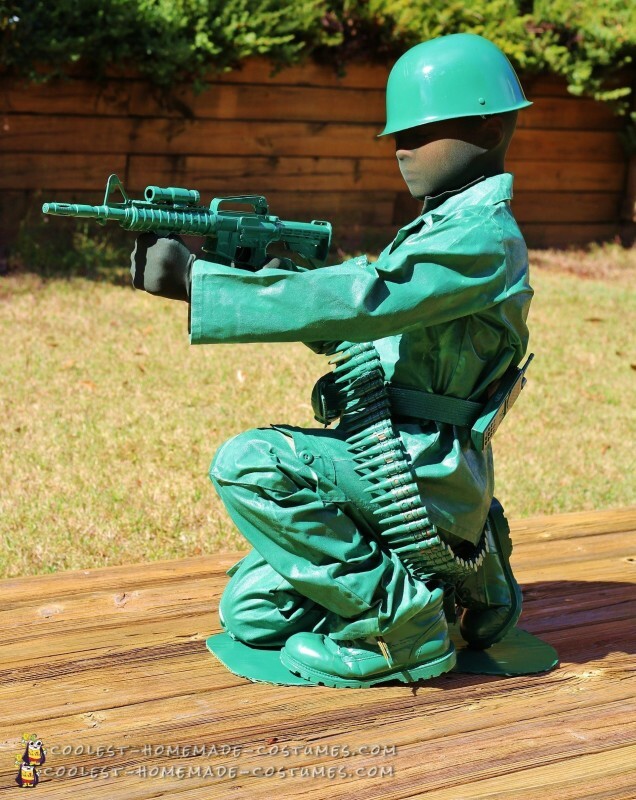 This toy army man costume was rather easy to make in general… but did take a LOT of paint and primer! I bought old military style clothing, covered them with primer, and then paint. We also bought accessories and loaded them with paint too. We tried covering his face with paint, but it didn’t look right. We ended up using a green stocking. My son rocked the night striking poses around the event. It was hilarious to have kids come up to him and wonder if he was real, or a prop for the event. Well, hilariuous this is for me. He didn’t find it funny when kids were kicking his legs or taking a smacks at his backside! But I gotta give him credit – he kept in character through it!